Today, we are presenting you the eight best cordless impact driver kits featured on Amazon. They are all quite different and have their own advantages and disadvantages, so if you are going to choose an impact driver among them, you will have to know what you are exactly looking for. Do you need compactness and light weight or power and efficiency? You will find both in the list below, and a lot more. Without further ado, let’s dive right into eight reviews of what we and many users think are the best impact driver kits you can find. A Cordless Impact Driver is a vital tool in every contractor’s toolkit. If you have decided to buy a cordless drill as a useful addition to your toolkit, then there are some key factors which you should take into consideration . Performance- RPM ( Rotation Per Minute) is one of the key factors to look for when shopping for a cordless drill Impact Driver. The higher the RPM , the quicker your drilling gets done. There are specific tasks where RPM should not exceed a particular range, for instance – when drilling through thin or low density glass, RPM of less than 450 is preferred. Torque– Another important factor that determines how tough a drill can be is its torque, which is measured in lbs. Higher torque capacity makes the drill perfect for drilling, fastening and driving. 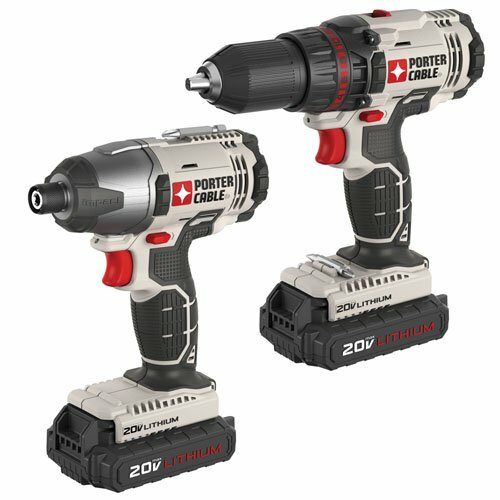 The first cordless impact driver kit on our list is comprised of the DCF885 20V Max Lithium-ion ¼-inch Impact Driver and DCD771C2 20V Max Lithium-Ion Compact Drill/Driver. Both tools are compact, lightweight and are designed to fit into tight areas. The impact driver features one-handed loading ¼-inch hex chuck, which accepts 1-inch bit tips. It has a light ring comprised of 3 LED lights with a 20-second delay for visibility without shadows. Besides, the impact driver comes with a belt hook for increased convenience on the work site. 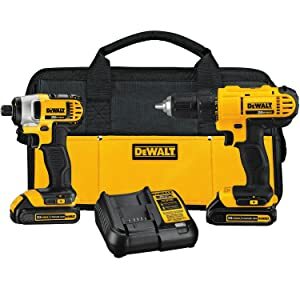 The drill/driver features a high-performance 300-unit watts out (UWO) motor and a high-speed transmission with 2 speeds (0-450 and 1500 RPM). Its ½-inch single sleeve ratcheting chuck is designed for tight bit grip. The ergonomic handle of the compact drill hugely contributes to its comfort. DCF885 Impact Driver features 3 LED light ring for illumination without shadows. ¼-inch hex chuck of the impact driver can be loaded with one hand and accepts 1-inch bit tips. DCD771 Compact Drill/Driver features a 300-UWO high-performance motor. The high-speed transmission of the drill/driver has 2 speeds. The charger of the kit works with only 110V. As in the case of other impact drivers on this list, the kit comes without drill bits. Lower RPM of the motor compared to other kits on this list. 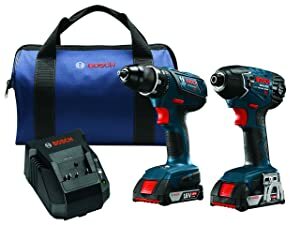 The next cordless impact driver kit on our list is Makita XDT111 18V LXT Lithium-Ion Cordless Impact Driver Kit (3.0Ah). Despite its compactness, it is capable of completing a wide range of driving and fastening tasks. With this kit, you won’t have to wait too long for it to recharge thanks to its fast-charging 18V Li-Ion battery. The XDT111 Impact Driver has a 4-pole motor delivering 1460 in/lbs. of max torque. Besides, it features variable speeds (0-2900 RPM and 0-3500 IPM). The impact driver is designed for increased comfort through its rubberized soft grip. Besides, it has built-in LED light for work in dark spaces and close quarters. A wide range of applications of the impact driver is ensured by its powerful motor with 1460 in/lbs. of maximum torque. The motor of the driver features variable speed (0-2900 RPM and 0-3500 IPM). The impact driver has increased durability thanks to its all-metal body. Fast charging 18V Li-Ion battery. The kit doesn’t come with driver bits. The charger supports only input of 110V. Despite its compactness, the WH18DGL 18V impact driver can pull off 1280 in/lbs. of torque and up to 2400 RPM and 3200 IPM, making it able to handle stubborn screws and bolts. Head-length of 6.5 inches makes it extremely efficient in tighter areas. It is designed for the most convenient use and features built-in LED light for work in dark areas. Its ergonomics and free standing battery for staying upright hugely contribute to the impact driver’s comfort. 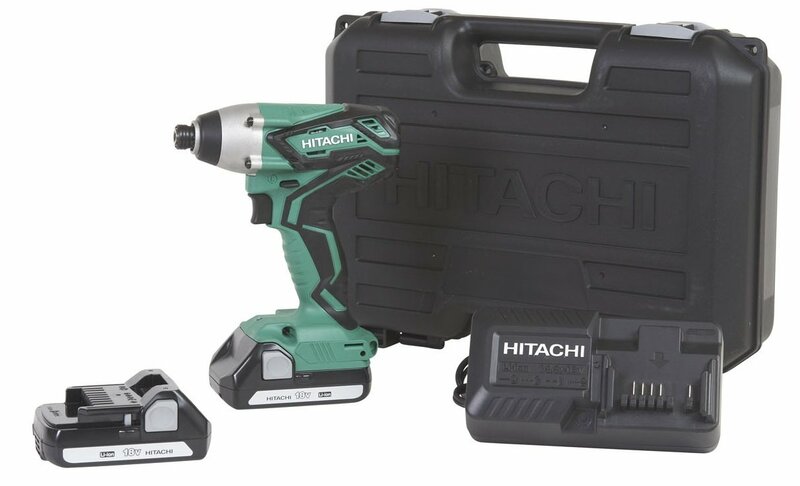 Add to that the Hitachi’s Lifetime Lithium Ion tool warranty, and you get one of the greatest choices of impact drivers out there. Powerful motor with 1280 in/lbs. of torque and driving speed of up to 2400 RPM and 3200 IPM for work with tough screws and bolts. Changing speeds is very easy thanks to the tool’s responsive variable speed trigger. Light weight of 3.1 lbs. for reduced fatigue during extended use. The built-in LED light will help you efficiently work even in dark areas. The impact driver features a ¼-inch quick-change chuck for easy bit replacement. The charger works with 110V only. No bits come with the kit. The battery charger is slow and has no indicator of charge. 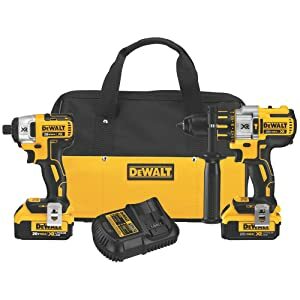 This kit includes the DDS181A ½-inch compact drill/driver and 25618 ¼-inch hex impact driver. Having head-length of 7.0 inches and weight of only 3.5 lbs., the drill/driver features a compact and light design for extended uses. The impact driver’s powerful motor delivers astounding 1500 in/lbs. of torque, making it a great choice for even most tough tasks. Besides, the motor has speed of up to 2800 no-load RPM and 3200 IPM. The impact driver is the most compact tool of its class with head-length of 5.7 inches and weight of 3.8 lbs. The kit includes two 19V 2.0 Ah SlimPack batteries and an 18V charger for both tools. Two drivers included in the kit: a ½-inch compact drill/driver and ¼-inch hex impact driver. The drill/driver is very compact and light thanks to its head length of 7.0 inches and weight of 3.5 lbs. The impact driver features a powerful motor with 1500 in/lbs. of torque and speeds of up to 2800 no-load RPM and 3200 IPM. The charger of the kit only supports 120V. Compared to some of the other kits on this list, the 1-year limited warranty is shorter. None of the tools feature lights for work in darker areas. The next impact driver kit on our list features two tools as well. The PCC601 drill/driver has a high-performance 1500-RPM motor. It is comfortable for use in dark or low-light areas through built-in LED light. The next tool in the kit, the PCC641 impact driver, features a powerful impact mechanism which delivers 2800 RPM, 3100 BPM, and 1450 in/lbs. of torque. Both tools feature a gauge displaying the remaining charge in the battery. Kit includes two 20V MAX Li-Ion batteries, which work with any of Porter-Cable 20V Max Li-ion products. Another kit including two tools: the PCC601 drill/driver and PCC641 impact driver. The drill/driver has a powerful motor delivering 1500 RPM. Built-in LED lights allow use in low-light or dark areas. The impact driver features a high-performance motor with RPM of 2800, IPM of 3100, and torque of 1450 in/lbs. for efficiency in any task. The kit comes with only one charger, so you won’t be able to charge both drills at once. Besides, the charger works with 110V only. Again, the kit comes with no drill bits. The Bosch PS41-2A impact driver is an extremely compact tool, but don’t think that it can’t show some good numbers. Being just over two pounds, it delivers max torque of 930 in/lbs. and no-load BPM of 3100. Having head-length of only 5.4 inches, the impact driver is a perfect choice for tight applications. It has increased muscle and tool durability thanks to its Bosch-developed hammer and anvil system. The 12V Max Power System ensures excellent durability of the impact driver, and the battery gauge on it makes the battery management even more efficient. 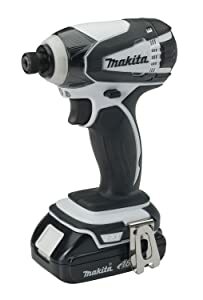 Extremely compact impact driver with weight of only slightly over two pounds and head-length of 5.4 inches, making it small enough to work in extremely tight or narrow areas. Battery gauge to keep an eye on the charge of the impact driver. Warranty of only 1 year. The standard charger is made for 120V. Torque of 930 in/lbs. might be insufficient for tough bolts or screws. Besides, you definitely won’t be able to take off car lug nuts with this driver. The next cordless impact driver kit on our list is notable for the included hammerdrill. The DCD995 20V Max ½-inch hammerdrill features a high-performance 3-speed motor delivering up to 2000 RPM. The all-metal optimized transmission ensures fast switching of speeds of the motor. The hammerdrill has an IPM of 34000 and is capable of drilling into masonry materials. It is compact and lightweight thanks to its head-length of 8.4 inches and weight of 4.7 lbs. The kit features the DCF886 20V Max ¼-inch impact driver as well, which delivers torque of 1500 in/lbs. and motor speed of 2800 RPM, not to mention IPM of 3200. 5.6-inch head-length and 3.4-lbs. weight lets the impact driver fit into tight or narrow areas. Both tools have LED lights with a 20-second trigger release delay for illuminating dark or low-light areas. The XR Li-Ion batteries feature fuel gauges and are 33% more capacious compared to standard packs. The kit features not only an impact drill but a hammerdrill capable of drilling into masonry materials as well. Both tools feature LED lights to illuminate darker areas. Efficient XR Li-Ion batteries with fuel gauges to monitor the state of the charge. The charger is incompatible with networks other than 110V. You’ll have to get drill bits yourself as the kit comes with none. 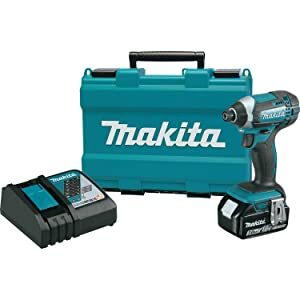 The last cordless impact driver kit on our list is Makita BTD142HW 18V Compact Lithium-Ion Cordless Impact Driver Kit. The BTD142HW impact driver has a high-performance motor delivering 1280 in/lbs. of max torque. Its variable speeds (0-2300 RPM and 0-3200 IPM) allow for the impact driver’s use in a wide gamut of fastening applications. It features a convenient ¼-inch hex chuck for effortless bit replacements. Having head-length of 5-3/4 inches, the impact driver fits into tight areas very easily. Besides, it has weight of 2.9 lbs. for reduced operator fatigue. Another significant contribution to its comfort is made by the tool’s ergonomic shape to fit like a glove even under pressure. You can illuminate your workspace with built-in LED light with afterglow. Compared to standard batteries, LXT Li-Ion battery and charger produce 430% of total lifetime work and 2.5x more cycles. Powerful 4-pole motor with 1280 in/lbs. of torque and variable speed (0-2300 RPM and 0-3200 IPM) for a diversity of fastening tasks. Compact design and light weight for work in tight areas and lower operator fatigue. The impact driver fits like a glove even with pressure thanks to its ergonomic shape. As other kits on the list, the impact driver comes with no drill bits. What’s the difference between an impact driver and cordless drill? Impact drivers’ motor delivers higher rotational speed and much higher torque. That allows impact drivers to drive fasteners with higher torque compared to a drill. What about an impact wrench? Generally, impact wrenches have much higher torque than impact drivers. A powerful impact driver can deliver 1500 in/lbs. of torque, while impact wrenches can produce around 3600 in/lbs. and even more. Impact drivers are more suitable for screws and smaller bolts. Impact wrenches can work with bolts with much larger diameter, like car lug nuts. Can an impact driver be used for drilling holes? Yes! As we already said, cordless impact drivers have higher RPM. However, some impact drivers don’t provide good control at low-end speeds and it can be tougher to start holes as precisely as with a drill. But higher torque makes drilling of some surfaces much more effortless compared to a cordless drill. Can an impact driver loosen lug nuts? Depending on the car and size of the wheel/lug, lugs are usually tightened between 70-120 ft./lbs. (approx. 840-1440 in/lbs.). Larger and more powerful 18V impact drivers should be able to handle that task in most cases. In reality, many mechanics over-tighten the lugs, and factors like rust or dirt can complicate taking off lug nuts with impact drivers. 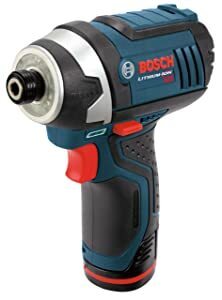 You’ll need to have more powerful impact driver to deal with such tasks, otherwise, you would need to loosen the nut with a large breaker bar beforehand. Now, you should be ready for your final choice. We presented you various kits with impact drivers with LED lights, high-performance motors, efficient batteries, and not only that to make your fastening works much more efficient. If you have frequent tasks related to screws and bolts, you should definitely look for an impact driver among the aforementioned kits. They are all different and handle different tasks in their own way and efficiency, so you will find an impact drill for any application. If you are in doubt nonetheless, do more research, read more reviews, and understand what you need exactly to make the best choice. Have a nice purchase and good luck!